Mr. FishDuck asked me to have some fun and have a speculative look at whom Willie Taggart’s new Oregon coaching staff might include from his current staff at the University of South Florida. This is definitely going to be fun for me as the naming of each new assistant – whether I saw it coming or whether it’s a big surprise – will be truly exciting for me. On the other hand, Taggart must have total confidence that he has the best possile man for each job. Selecting a coach based on time served at Oregon, or just because he coached with Taggart at USF, would be stupid. But minimizing the importance of the time actually spent coaching together would be even more stupid. Although Reaves is not technically a coordinator, he seems to be next-in-command offensively. 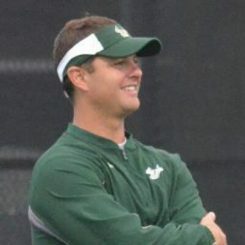 He has the credentials to be a head coach in the near future, and has been with Taggart all 4 years at University of South Florida. When they previously ran the Stanford/T-formation stuff? Coach Reaves was the QB coach and passing game coordinator, and remained in that capacity in their first record-breaking scoring year after switching to the Spread Offense. He has always been considered a top quarterback coach with successful stops at Tennessee, South Carolina, and New Mexico. He was also Steve Spurrier’s recruiting coordinator at South Carolina and is highly regarded as a recruiter throughout his career. 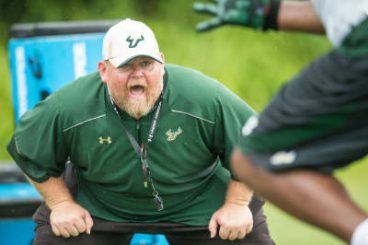 He was just named the Interim head coach at USF due to Taggart’s departure, but he goes way back with Taggart. In their first year coaching together , they won the 1-AA NCAA National Championship at Western Kentucky. Taggart was the co-offensive coordinator and QBs coach and Weist coached the WRs. Later Taggart was promoted to Assistant Head Coach and Coach Weist was promoted to Offensive Coordinator at the same time. Taggart and Weist very successfully coached offense at WK for six years until Taggart left for Stanford. Here’s the only coach on Taggart’s staff I was well acquainted with, and I used to love watching him play. Shaun King is the main reason for Rich Rodriguez‘ fast coaching rise from Tulane, to West Virginia, to Michigan and now Arizona. At Tulane, under Rich Rod, King was a spectacular dual-threat QB when there weren’t many out there. Coach King was a 4-year starter [’95-’98], and put on a passing-running show every week. In ’98 King finished 10th in the Heisman – from friggin’ Tulane. He was even drafted in the 2nd round by Tampa Bay. He ended up having a “nice” 6-year NFL career. 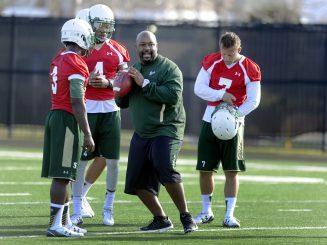 In 2016 Taggart talked King into giving coaching a try as he had run many QB camps. The Bull’s great QB, Quinton Flowers, is a veritable clone of Coach King. Even though King would be the least experienced of Taggart’s assistants, he might be the most important because of his charisma and ability to recruit QBs. 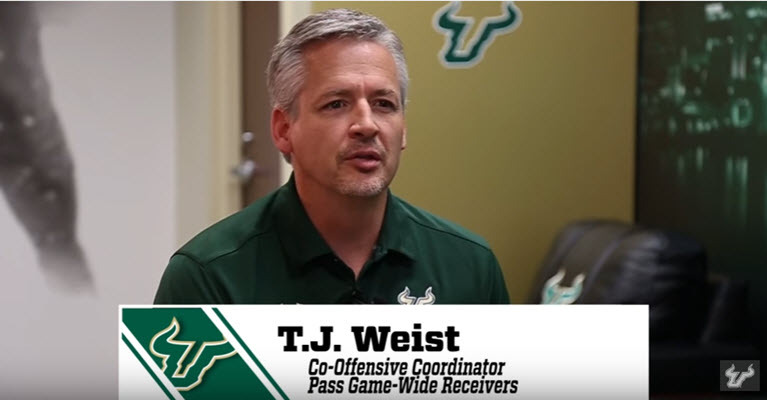 So that’s a brief look at the USF offensive coaching staff, and I think it’s a win-win. Whomever Taggart chooses from the former Oregon and South Florida staffs I think would be wonderful. (And I’m sure there are many other great offensive assistant coaches who would love to coach at Oregon) The Ducks mascot better get ready for a whole lot of push-ups next year! I don’t think Taggart can build a defense to match his offense without major outside help. 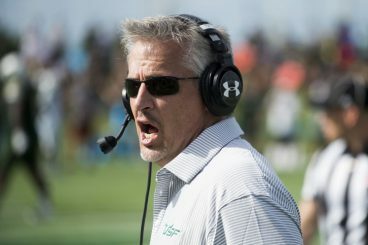 As great as the offensive coaches will be, there’s no equivalency on defense–from either the USF or Oregon staffs. 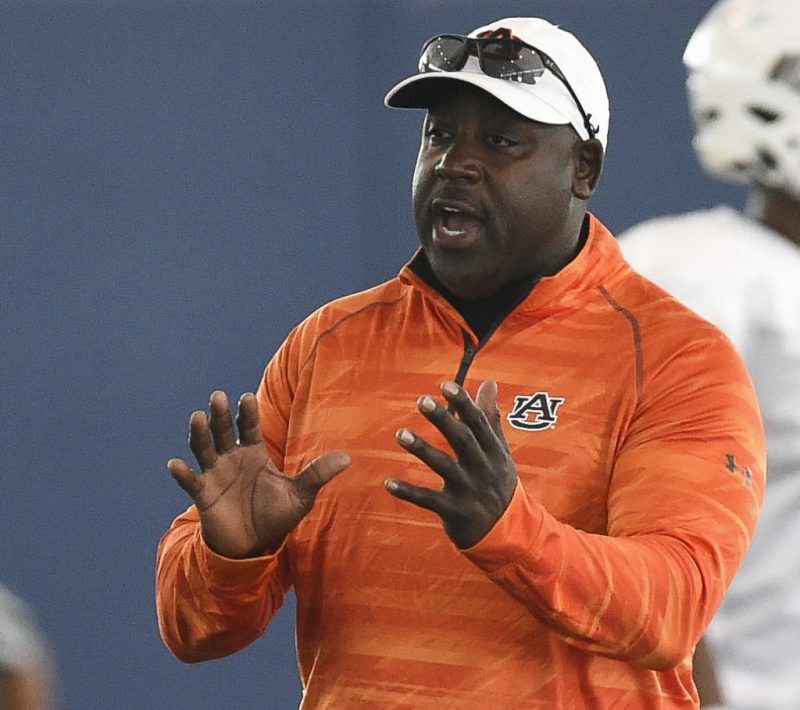 He seems like by far, the hottest candidate who might be available) He came to Auburn in 2016 as co-defensive coordinator and secondary coach, and really helped turn around their pass defense. Auburn was 16th nationally and 3rd in the SEC in pass defense efficiency, and 5th nationally in scoring defense [15.6] in 2016, with dramatic improvements in 3rd down and red zone defense. Prior to coming to Auburn–Coach McGriff spent 3 successful years coaching the New Orleans Saints secondary, and before that McGriff was Co-Defensive Coordinator and Corner-backs coach at Mississippi, where they were very successful on the field and landed the 8th top recruiting class in the nation. McGriff was given a lot of credit for recruiting that class. The other two possible defensive coordinators I’ve already written up for FishDuck.com are Osia Lewis of Vanderbilt and Rocky Long of San Diego State. I still believe strongly in the quality of those two men, and Taggart’s hiring and possible reaching-out could help attract both of them. Obviously McGriff and Long wouldn’t work as a package deal, but Osia Lewis would be great working with either McGriff or Long. I don’t see Brady Hoke as a viable candidate unless he helps bring Long and/or Lewis on board. John Neal is the one defensive coach who might be a good re-hire. On both sides of the ball, the Oregon Ducks have already started competing for the 2017 NCAA Championship. The Ducks have one wonderful head coach hired and nine very important assistants to go. Watching the forming of the next Oregon coaching staff will make me as excited as a Grizzled Ol’ Coach can get.